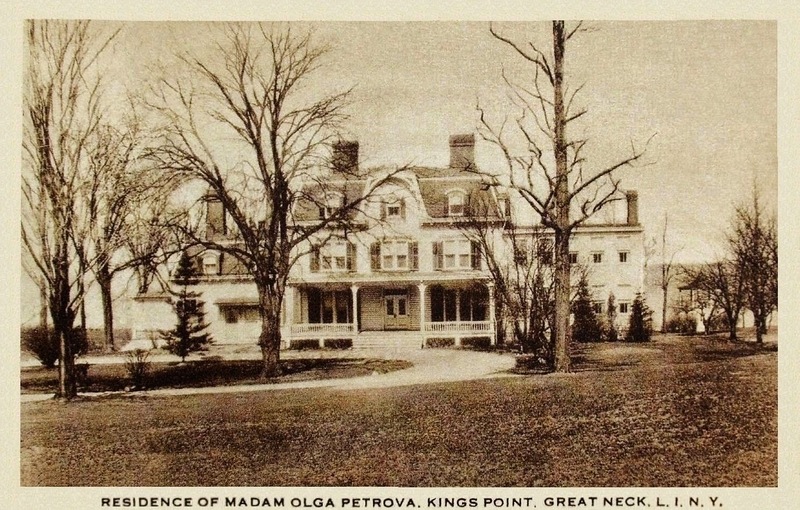 The Olga Petrova residence in Kings Point. Petrova was an actress and playwright who purchased the residence from Sam H. Harris, theatre producer, in 1917 for $125,000. The home was later owned by Walter P. Chrysler who gave it to his son. It has since been demolished. Not too crazy about the house but it looks like it backed up to the water, which must have been nice. Interesting owners.